In the future, we may not satisfy with high technology and function. Mental needs are more and more important in our life. Until now, we “read” weather information on newspaper, TV, PC and mobile phone. It will be exciting to “feel” weather by our senses. So we think it may be interesting to make a glass cube, which can produce weather phenomenon like a snow ball——Weather Cube. 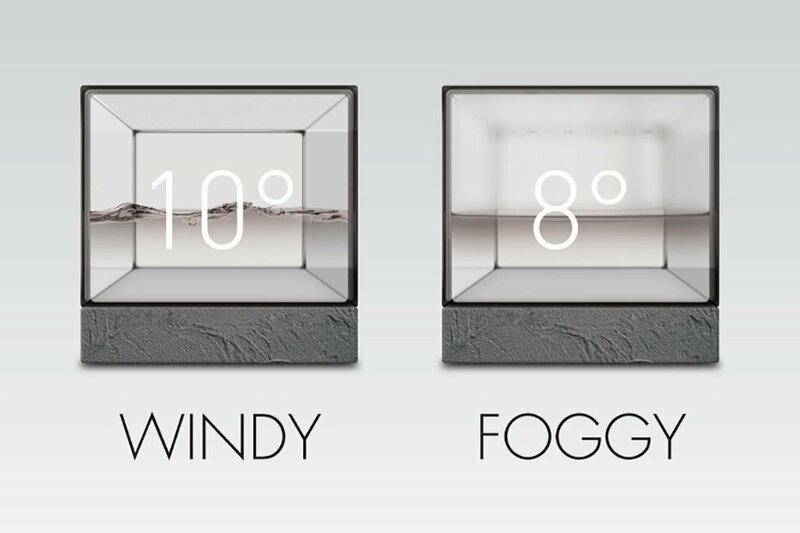 Weather Cube realistically and vividly shows current outside weather. 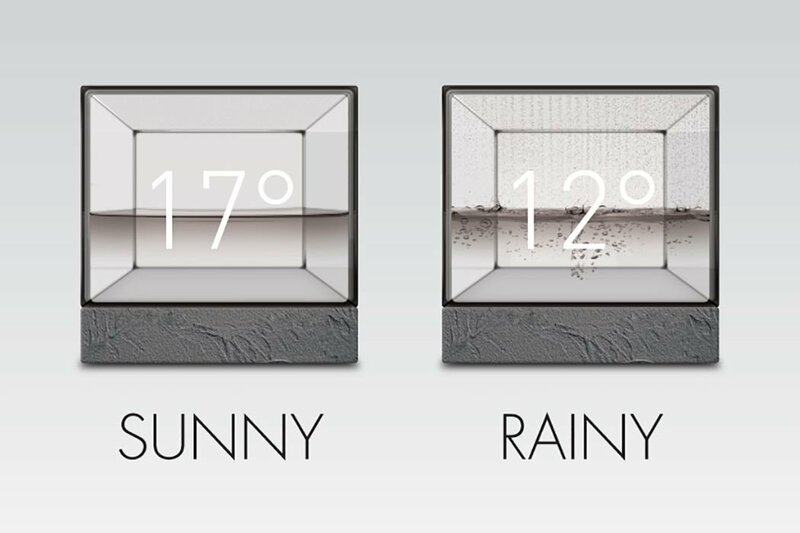 It doesn’t simply display weather symbols, but use water expression to create a live weather scene by ultrasonic. For example, peace means sunny, shower is rainy, wave symbolizes wind and steam stands for foggy. It’s really easy to understand weather’s detail such as intensity of rainfall and strength of wind. Most importantly, we don’t only get information of weather, but also be able to “feel” weather at home.